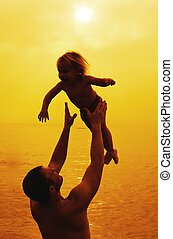 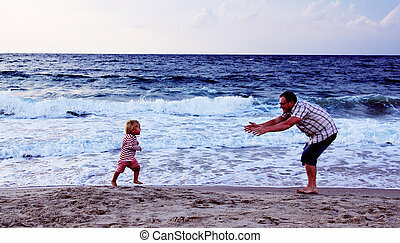 Father and daughter playing together on the beach at sunset. 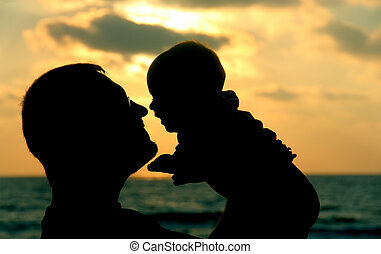 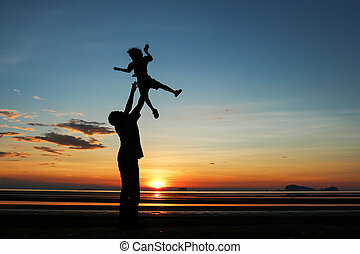 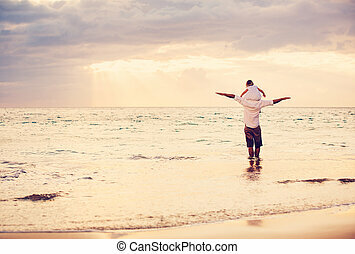 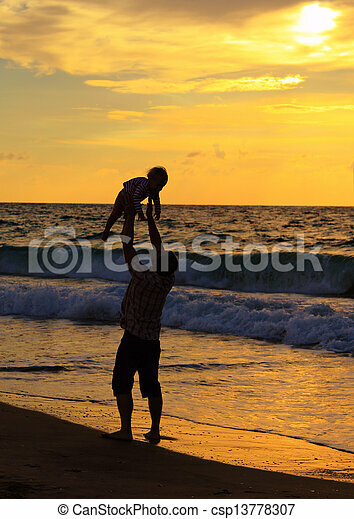 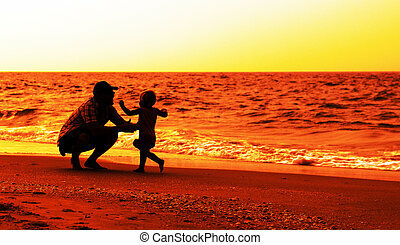 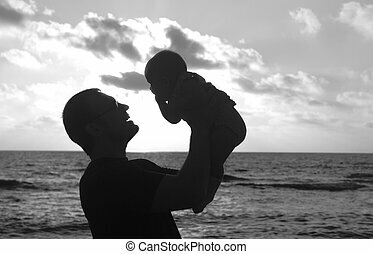 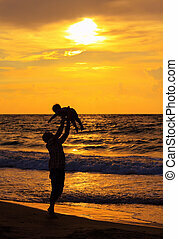 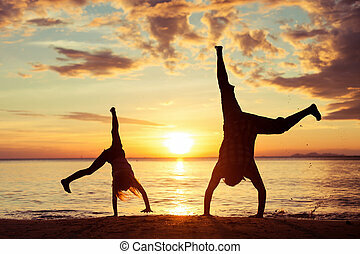 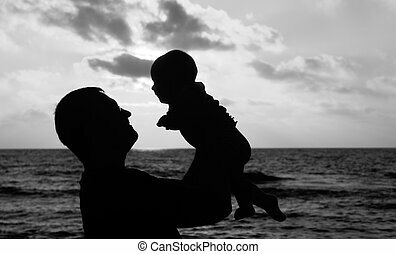 Silhouette of father and daughter playing together on the beach at sunset. 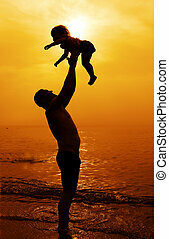 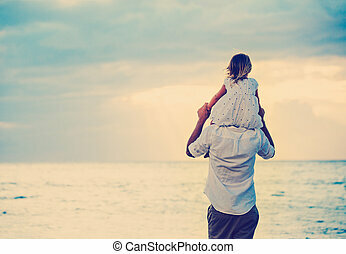 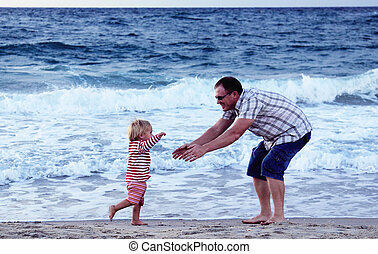 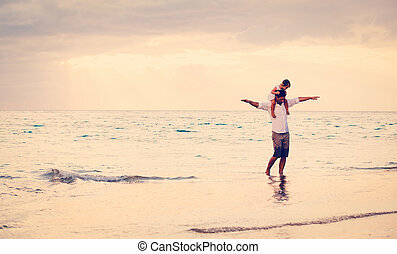 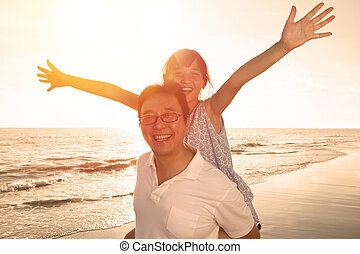 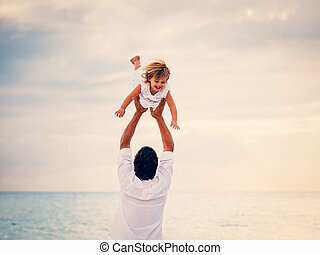 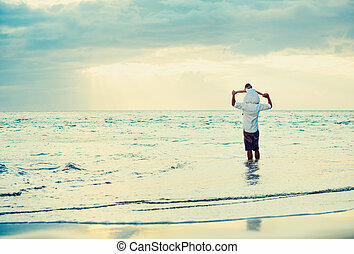 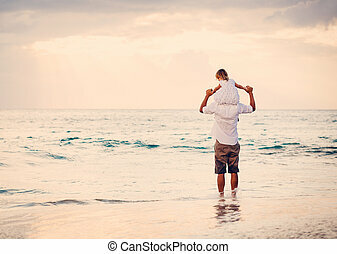 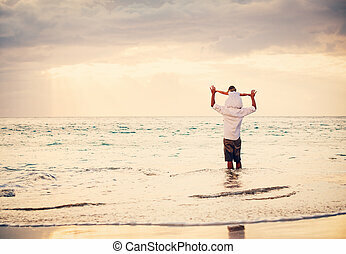 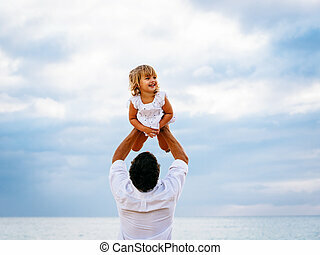 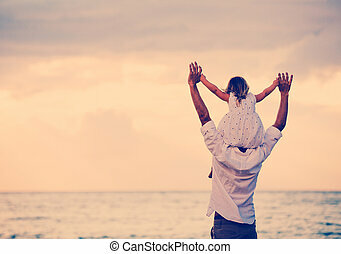 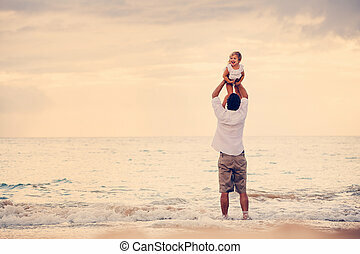 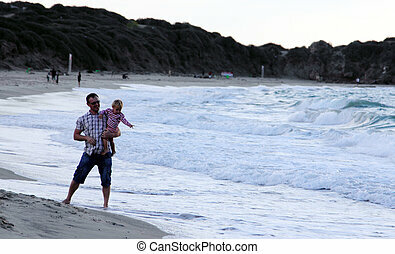 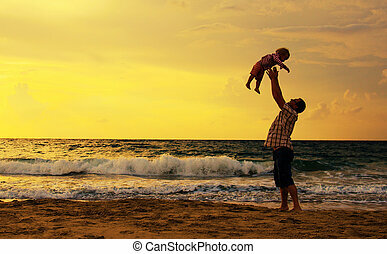 Father and daughter playing on the beach at the sunset time.